Huawei takes up 7.3% of the market share: the smartphone local market report. Huawei Egypt ranked second place with 7.3% market share according to the April 2015 issue of the smart phone local market report done by a third party global market research company. According to the report, it is expected that Huawei’s smart phone shipments will reach 100 million smart phones globally within this year. During Q1 of 2015 Huawei’s shipments reached 17.53 million phones globally with a growth rate of 28%. 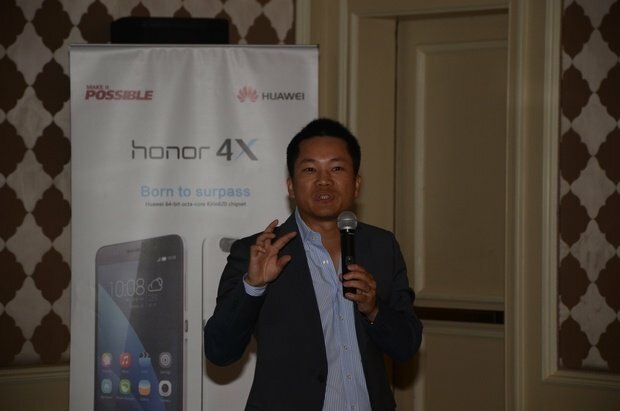 Alex Lin, President of Huawei Device Northern Africa, said “Huawei Egypt’s smart phone market share increased from just 1.2% in 2014 to 7.3% in April 2015, which proves that our aggressive plans for this market are working well.” According to Lin, Huawei Egypt is determined to continue its growth not just in terms of Market share, but also in distribution and after sale service centers. “We are expecting to end 2015 with no less than 15% market share in Egypt,” added Lin. The company’s success comes as a result of its focus on high-end phones and customer experience. This drives Huawei to become a strong player and join the tier one club of smart phones. In 2014, Huawei Consumer Business Group sales revenue was estimated at US $12.2 Billion, growing 32.6%, with third place in global smart phone shipment reaching 75 million units; this means that every second two smart phones were sold out. Huawei’s products and services cover 170 countries worldwide, which represents one third of the population, with 16 R&D centers in countries including the US, Germany, Sweden, Russia, India, and China. Huawei Consumer Business Group is one of three businesses within Huawei, covering smart phones, mobile broadband devices, and home devices, dedicated to providing the latest technology to the consumers and bringing the joy of technological advances to people all around the world.